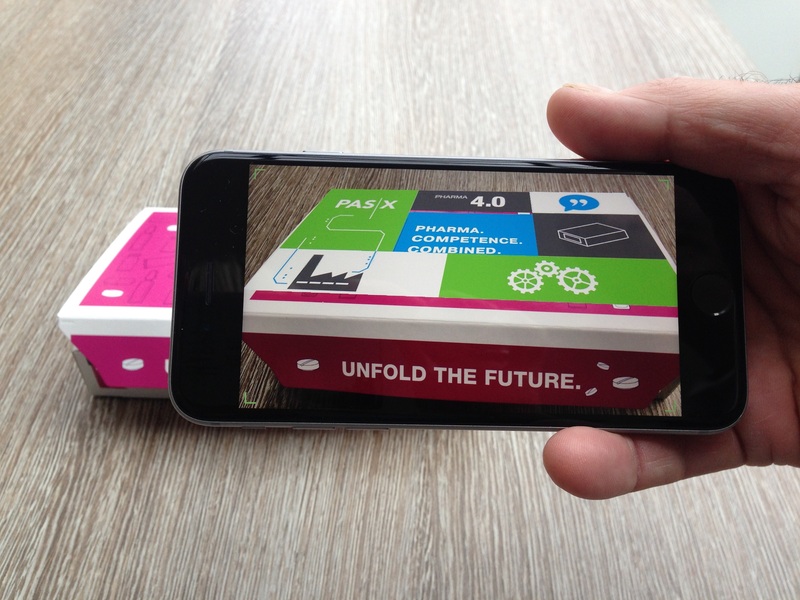 Ecublens, Switzerland: – Powder handling and containment specialists Dec Group have recently offered their expertise to meet the challenges of dispensing bulk ingredients from big bags and drums while retaining high containment. 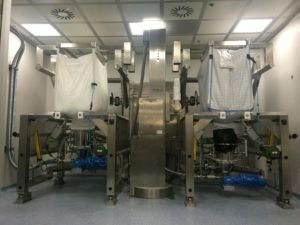 The Dec solution has applied its advanced Powder Transfer System (PTS), big bag discharging systems and glove box isolator in a tailored installation at a European facility for the world’s leading biopharmaceutical company. It allows material discharge from flexible intermediate bulk containers (FIBCs) and drums to be routed through a glove-box isolator and a cone mill underneath the isolator chamber and addition of small amounts of ingredients while maintaining high containment and protection. 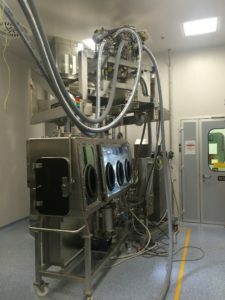 The prototype installation allows automatic dispensing of both main excipients (lactose and cellulose) from paired Big Bag discharging stations, dosing and conveying thanks to PTS installed on top of an isolator. Active pharmaceutical ingredients (APIs) can be added manually into the mill by disconnecting part of the chute inside the isolator. An additional feature allows further excipients to be added from any size or shape of container via suction lance. The ingredients leave the isolator through a cone mill to be conveyed into an IBC which is located on the floor below. In the final stage of process, the ingredients can be recirculated back through mill for routing to another intermediate bulk container (IBC). “Dec has been able to maintain its 30 year tradition of powder handling excellence and innovation with an ingenious and custom made solution to a challenging problem,” commented Guillaume Wetli, Dec Group Area Sales Manager. “In this case we have been able to reduce overall loading times, integrate an existing mill into the process and significantly improve operating safety by maintaining high containment throughout the process,” he added. Dec (Dietrich Engineering Consultants) Group is a leading global provider of contained powder handling systems and is recognized as a world-leading expert in process containment technologies. It has been supplying the pharmaceutical, chemical, food and cosmetic industries for 30 years. Click on Big bag dispensing via isolator for more information.